We can’t exclude a possibility that the price is forming a new ascending impulse. Earlier wave  was finished in the form of flat pattern. The Index has almost reached the “before-the-crisis” minimums. 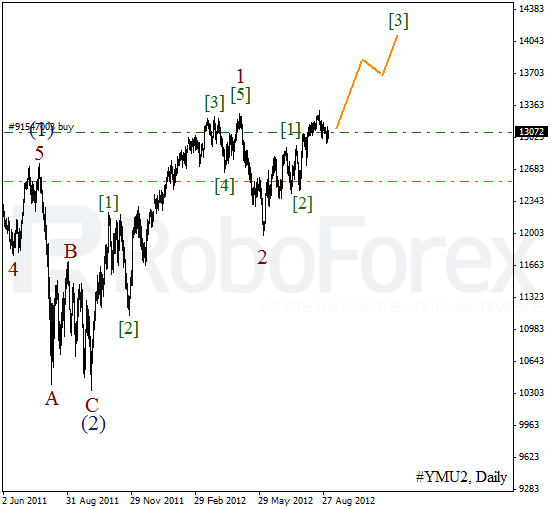 Most probably, the price will continue growing up inside wave (3) during the next several weeks. 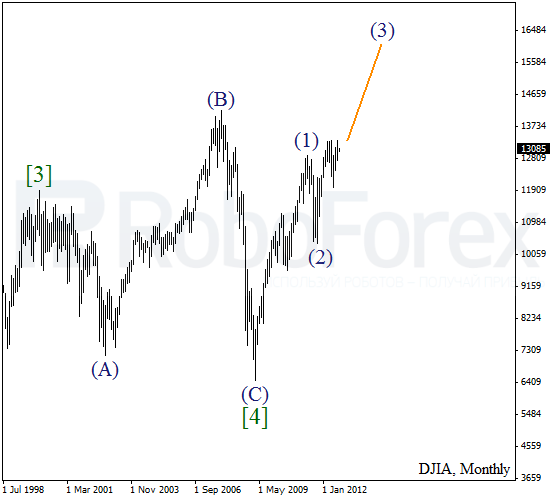 At the daily chart of DJIA Index the price is in the middle of wave 3. On the minor wave level we can see the formation of wave . Most likely, in the nearest future the ascending trend will continue, that’s why today I’ve opened a buy order. I’ll move the stop into the black as soon as possible. 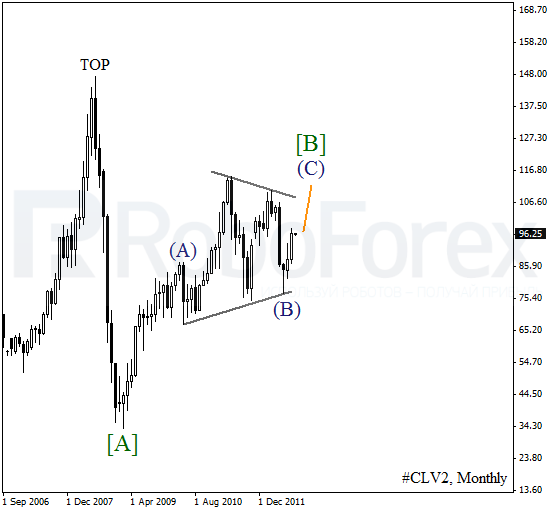 It looks like the price is forming zigzag pattern inside wave [B] at the monthly chart of CRUDE OIL. Earlier wave (B) was completed in the form of triangle pattern. In the future we can expect the instrument to grow up inside an ascending wave (C) of [B]. 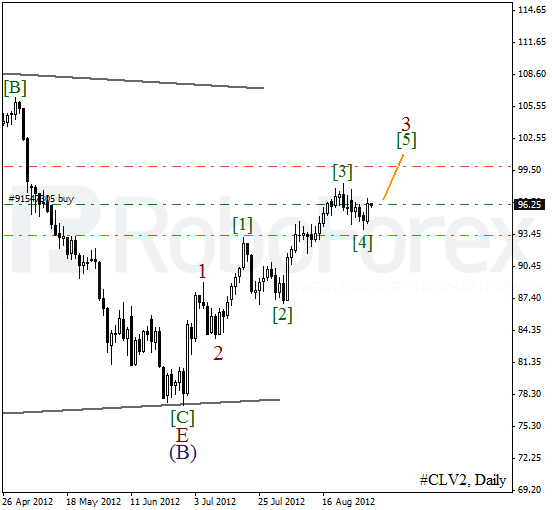 As we can see at the daily chart, the price is forming an extension inside wave 3. On the minor wave level the price is completing the fourth wave. In the near term, we can expect the instrument to move upwards inside wave  of 3.